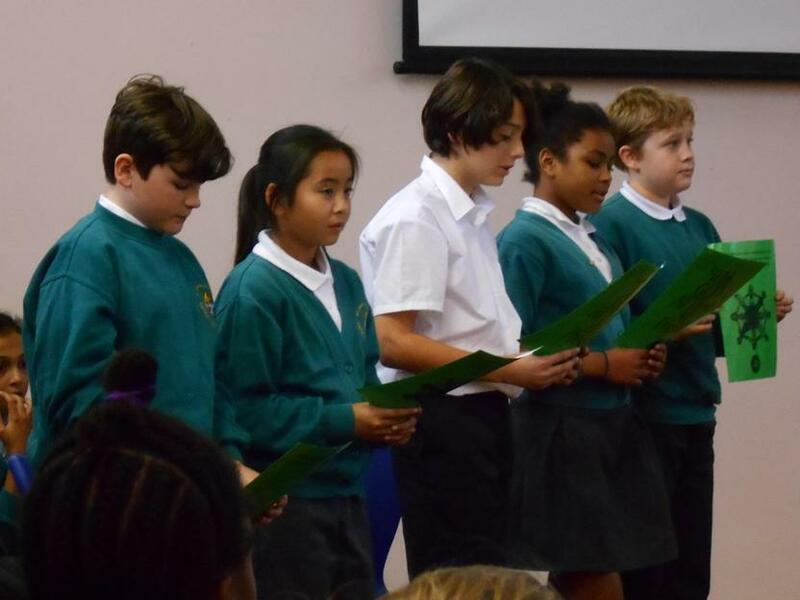 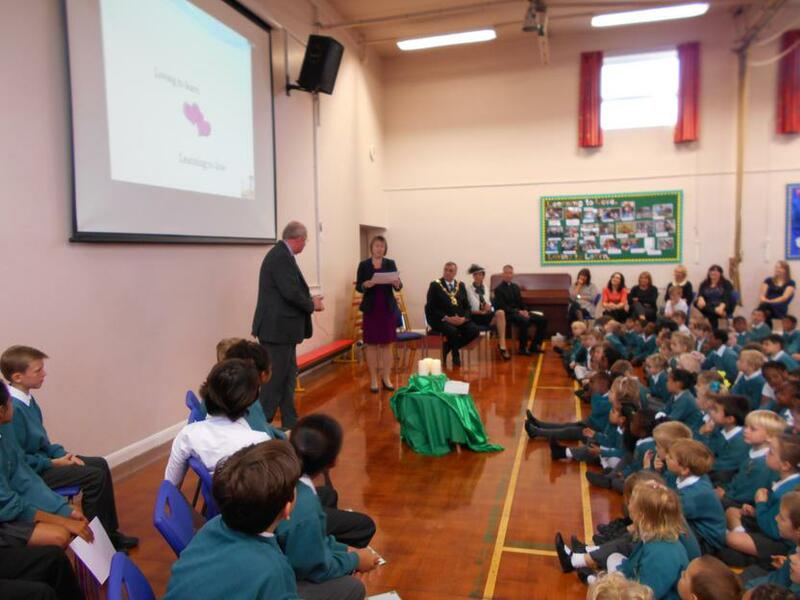 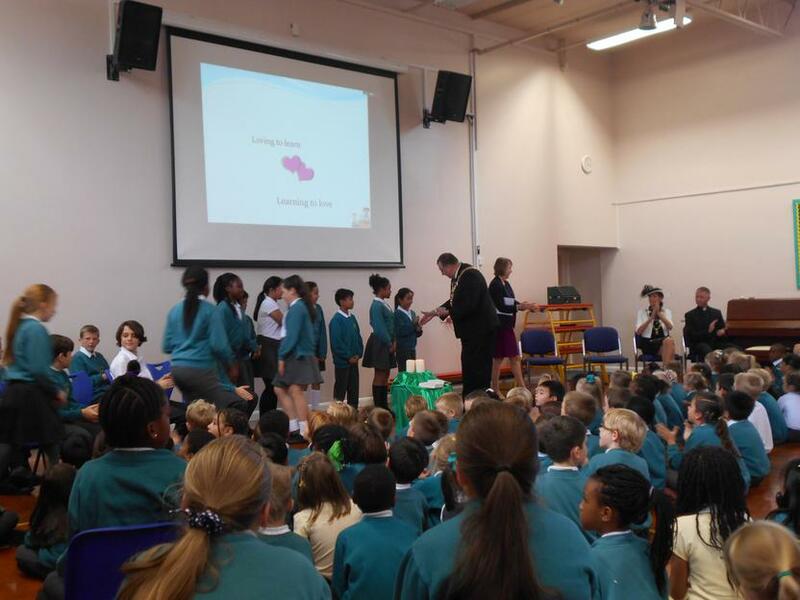 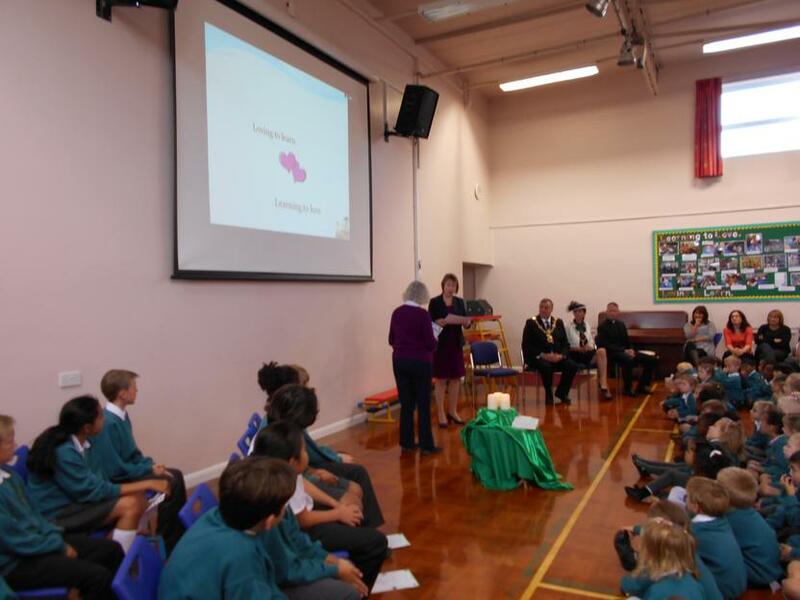 Today we held a lovely assembly to celebrate reading, recognise our school volunteers and remember Ray Hallin, who had been a volunteer reader at our school for 15 years until his death in August. 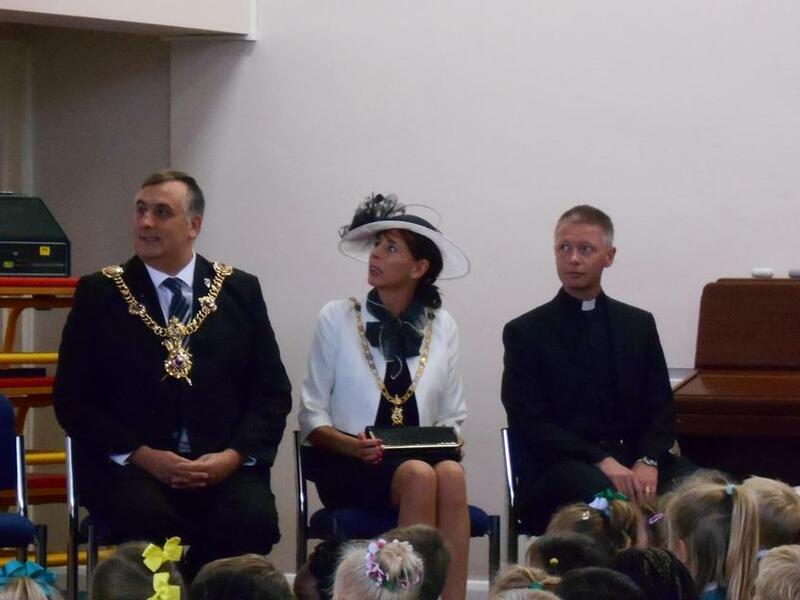 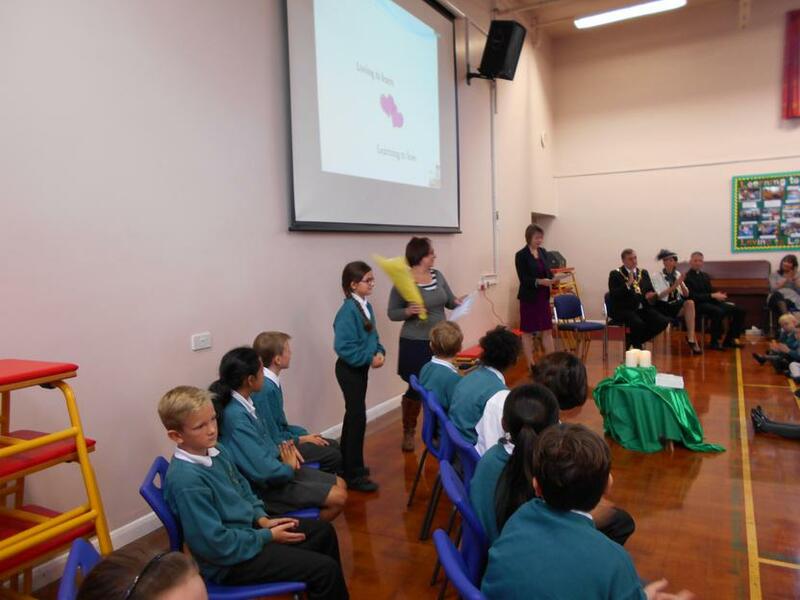 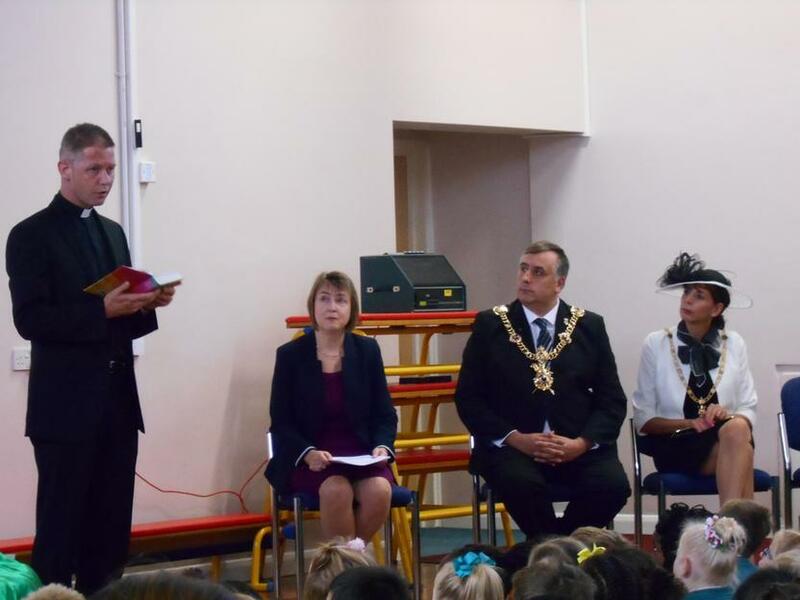 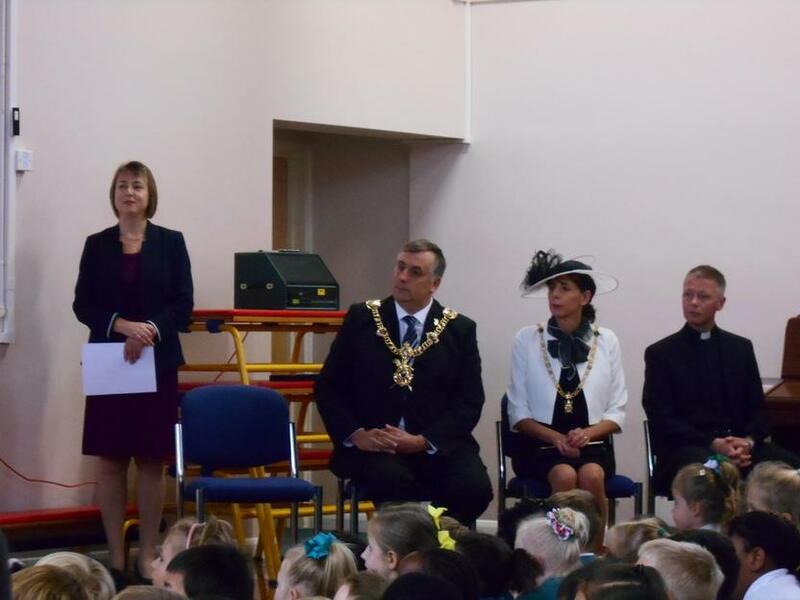 We were very lucky to have The Lord Mayor and Lady Mayoress join us for the celebration in which Miss Hobbs launched the ‘Ray Hallin Reading Award’ before presenting our school volunteers with certificates and gifts. 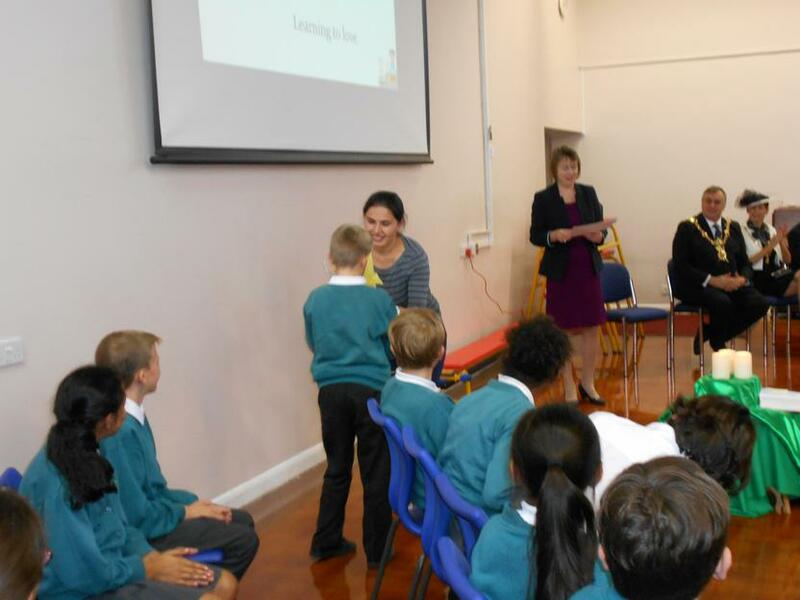 The Lord Mayor then presented our Year 6 librarians with their badges, thanked those that volunteer at our school and reminded us of the value of volunteering and giving up our time for others. 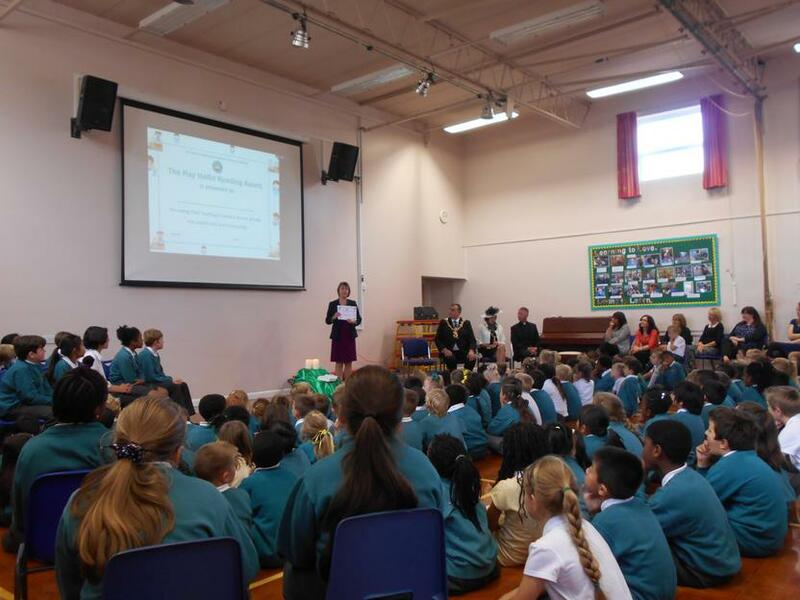 It was a great celebration of reading and a timely reminder of the importance of using our gifts and talents to help our school, parish and community.